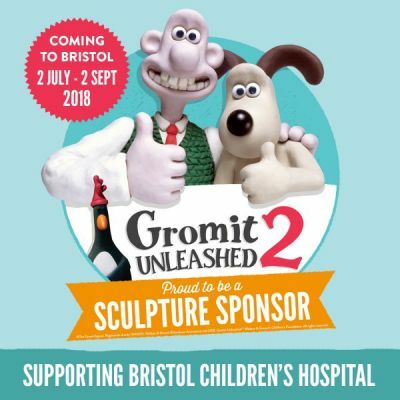 16.05.18: Wallace & Gromit’s Grand Appeal, the Bristol Children’s Hospital charity, has revealed the locations and sponsors for its sixty-plus sculptures of Academy Award®-winning characters Wallace, Gromit and Feathers McGraw that will descend onto Bristol and its surrounding area later this summer. The Grand Appeal is the Bristol Children’s Hospital Charity. Founded in 1995, the award-winning charity has raised over £50 million to save lives and support sick children and their families at Bristol children’s hospital. Money raised helps patients and their families in the hospital to have access to the best medical care, pioneering equipment, expert doctors and nurses, family accommodation and patient activities. Bristol children’s hospital is one of the UK’s leading children’s hospitals treating patients from across the South West, South Wales and beyond. It covers the largest catchment area of any children’s hospital in England, treating more than 100,000 children each year, and serves as the paediatric intensive care centre for the whole South West region. The hospital is an international, national and regional specialist centre of excellence for a range of services including neurosurgery, burns, cardiac, leukaemia and bone marrow transplants.